The BMW India aims to cover all type of features in their latest car models and the company has been launched their most awaited, BMW M5 at the Auto Expo in New Delhi which has begun from yesterday onwards. The top most leading manufacturing company in India is BMW is targetting the youth in the Indian automobile market. 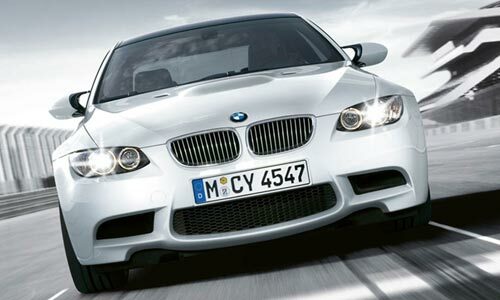 The BMW comes with superb exterior display in BMW M5 which focus on the performance its engine capacity. And the BMW M5 is sported with its drive conecpt using the Roadster concept. The new BMW M5 is fully equipped with the safety features that raises the benefit of cars as well as the driver. In India, the BMW M5 price is fixed at the price tag of Rs. 95.9 lakh at the time. As now the BMW has been launched their most awaited Mini hatchback cars at the Auto Expo 2012, the company also announced the price of Mini hatchback cars in India, which consists of Mini Cooper S is at Rs 27.6 lakh and Mini Cooper hatchback is closed at Rs. 24.25 lakh and Mini Cooper Countryman and Mini Cooper Convertible are at Rs 29 lakh and Rs. 31 lakh respectively. The BMW India has decided to come up the BMW Mini hatchback cars in the year of 2009, but they were delayed due to market flucations at that time. The all BMW Mini hatchback cars has been started to the bookings across the country and will be delivered these hatchback cars during the month of March 2012. The diesel variant of new BMW Mini hatchback is basically powered by a 1.6 L power capacity of diesel engine. The new BMW Mini hatchback cars will have a lot of competition from its rivals of Audi and Mercedes-Benz in the Indian car market.